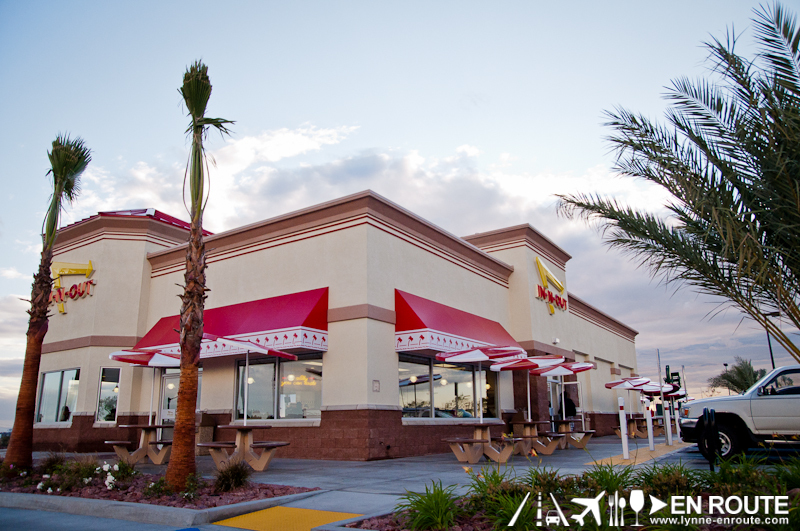 People in the Western Coast of the United States rave about the burgers of a famous fast-food chain that seems to defy the retail strategy of what excessive consumerism chains are all about. They are not as ubiquotous, which actually makes it all the more desirable, especially since they have not even branched out in the Eastern Coast of the USA. 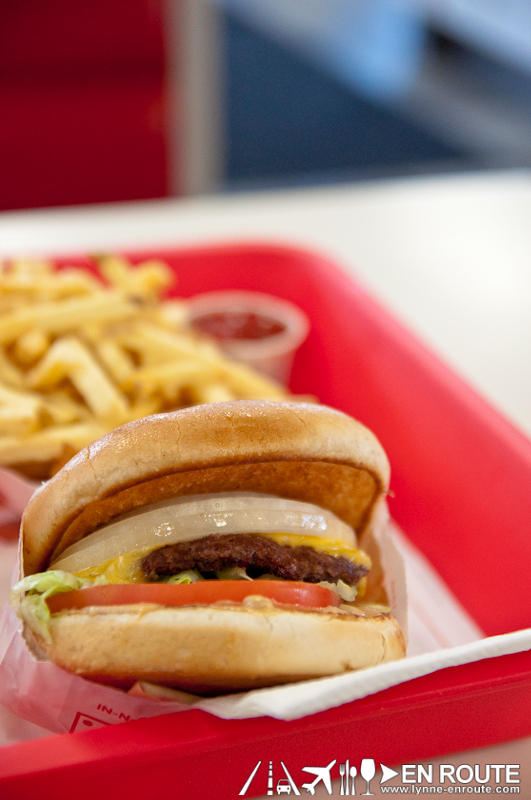 It’s all about In-N-Out Burger. Something about it makes those who crave for it just love it even more. Is it the taste? Is it the place? Or is it that the brand that people want to associate themselves with? As someone who has never lived in the USA and just heard about this through the many avenues of social media that has provided each and every one of us 15 seconds of fame every day, it seemed like an obligation to try it. 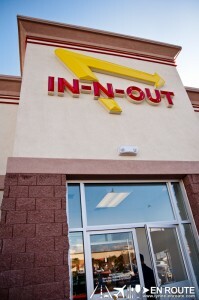 DID YOU KNOW: In-N-Out developed the first drive-thru fast-food using a two-way speaker box in California way back in 1948? This particular branch was on the top of Signal Hill in Long Beach, California. First impression from outside is: Great location. The schools pretty much surround the joint! 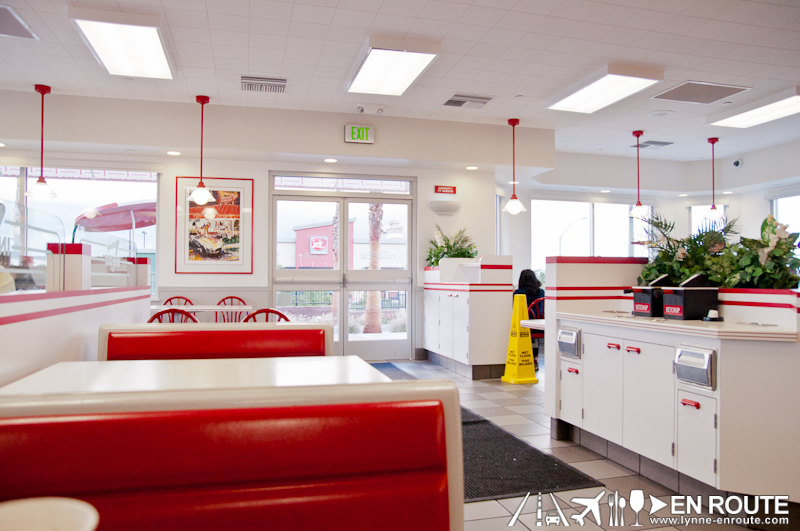 Stepping inside In-N-Out, it feels like you are transported to an earlier time in the look and feel of fast-food restaurants. White and red tiles adorn the counter, lit up by a bright neon yellow sign. The leatherette and vinyl booths have the same feel, too! 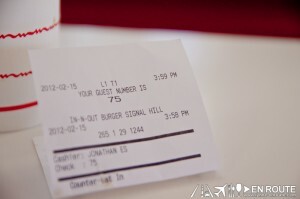 The cheeriness of the place is only matched by the energetic crew behind the counter. Something seems to show that they are not just here for a job or to fund their education. In their deliberate and confident moves inside the kitchen, to the demeanor in how each and every guest is treated. There is pride and joy in what they do, especially as they help people pick their selection from the menu. What is most striking about the menu, though, is the simplicity of it all. It’s just burgers, fries, sodas, shakes, milk, and coffee. Nothing more. And yet, this is part of the magic. 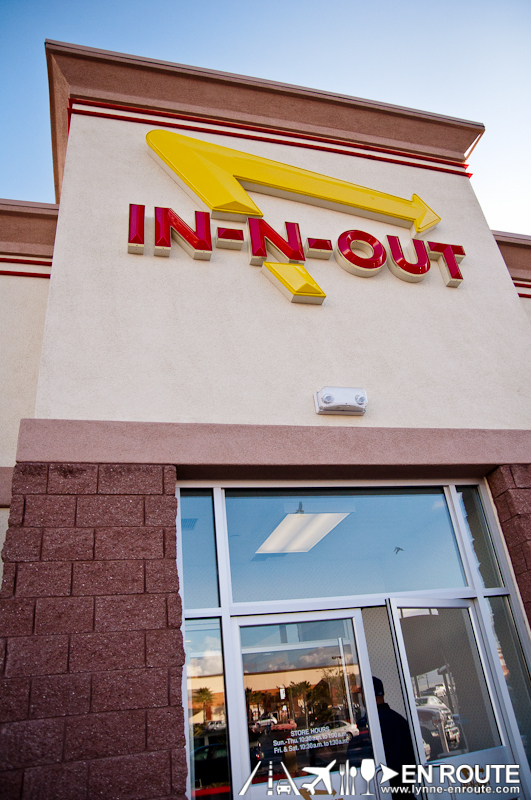 It’s in its simplicity that In-N-Out can get to do things the right way. So after ordering, you don’t get your meal immediately. They apparently make and cook it only upon order. It is in this way, they claim, that they can ensure freshness. Call it their marketing ploy, call it hype, but there really is a distinct taste of a freshly made burger patty. Plus, the vegetables are crisp and the cheese just melts ever so evenly as to blend with the delicious package. Its simplicity and focus on creating a great burger patty actually is reminiscent of Boulevard Diner in Quezon City. 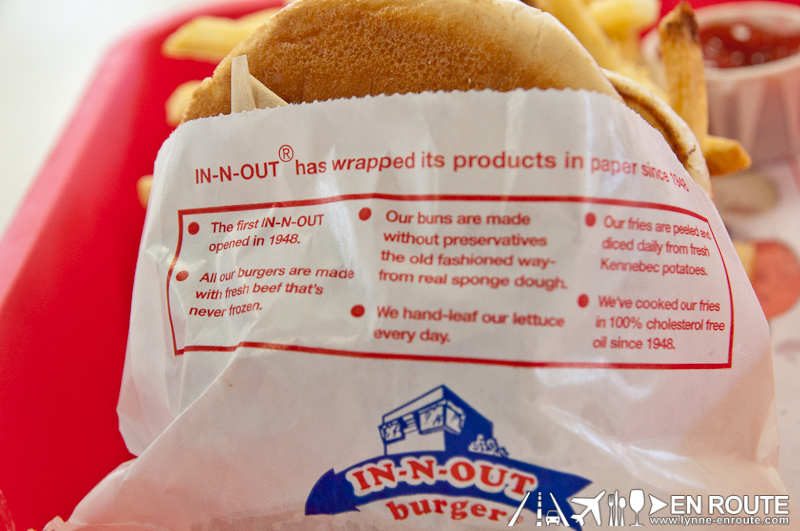 The fries are also sliced daily to maintain the moisture. It’s not as crispy as McDonald’s, but it just goes all so well. And cholesterol free, too! 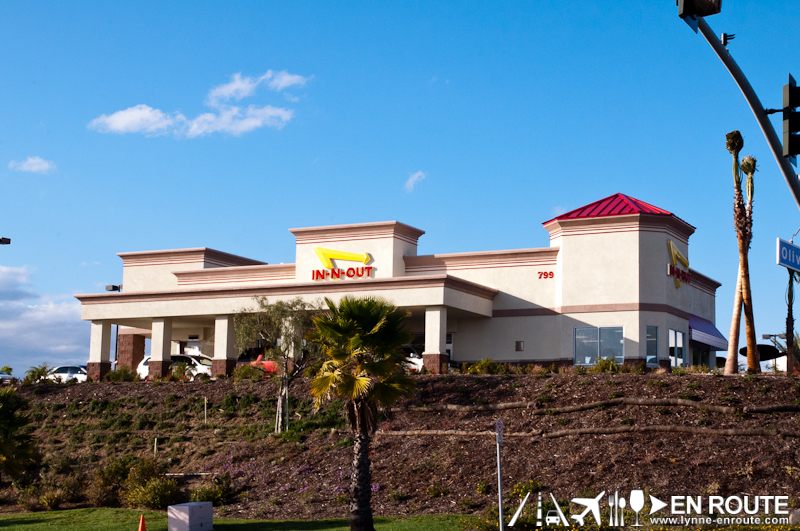 All of it sums up as to why In-N-Out has a special place in the hearts of people in the West Coast of the USA. This has to be emphasized as there are no branches in the Eastern Coast. Word has it that this is a family business that wants to keep everything tight and together, maintaining a consistent image rather than sacrificing it for unwarranted growth. 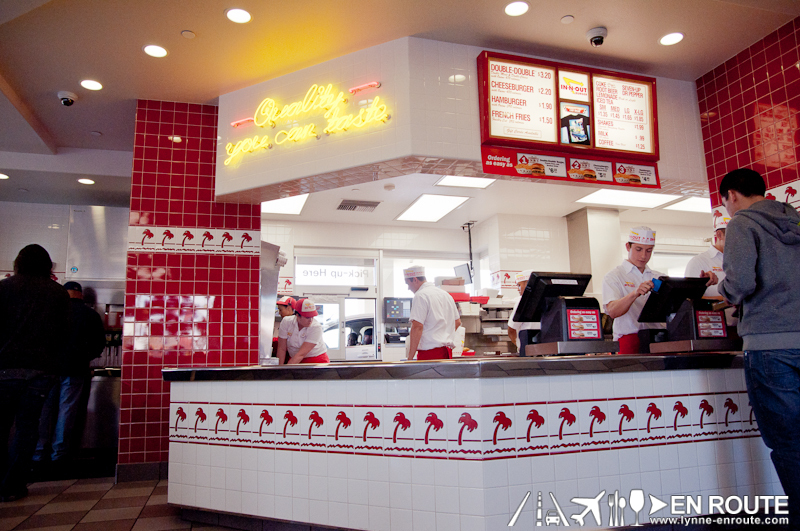 This focus and care emanates from every nook and cranny up to the very first bite of an In-N-Out Burger. Are there burgers in Manila that can stand up to it? Oh yes there are. But they are not in a systematic retail chain style. Will this place survive Manila if it ever comes here? It sure can, in places where it knows people will pay a premium for a product of quality. To know more about In-N-Out, Check out their website http://www.in-n-out.com/ or their Facebook Page here.